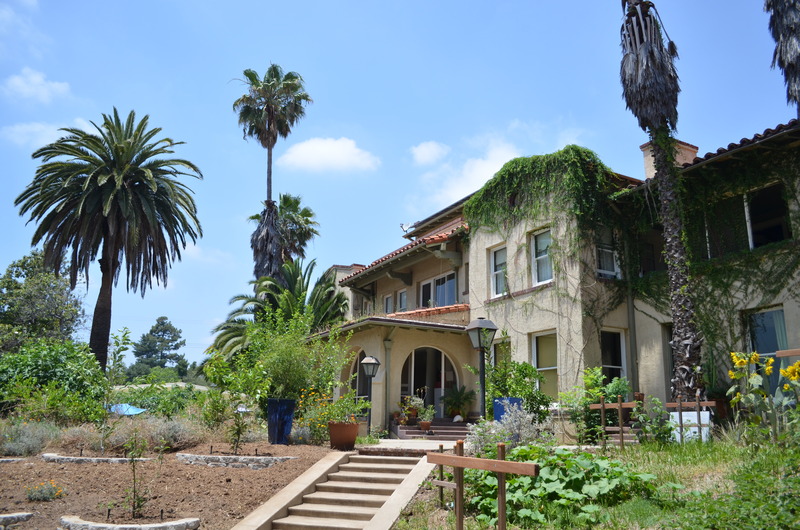 Before leaving Los Angeles, I’d wanted to learn more about coffee, so I found a roasting workshop in Altadena, CA, at the Institute of Domestic Technology. 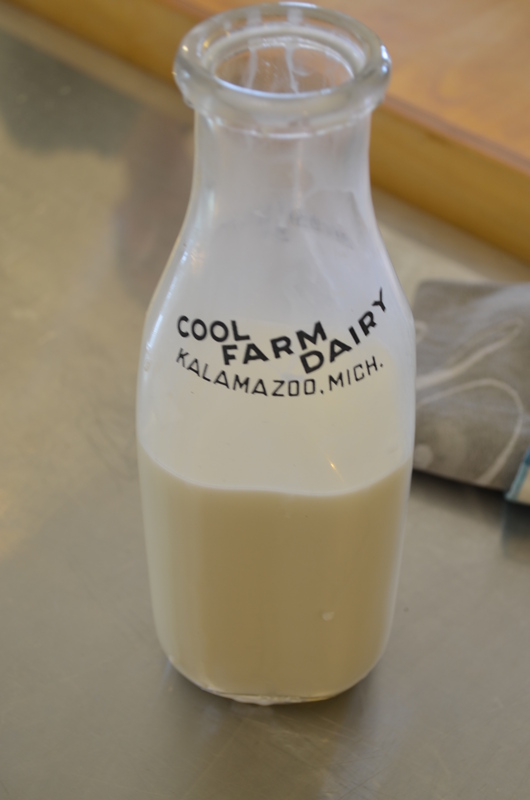 Despite the name, the place has more of a charming, granola DIY vibe than something more…domesticated, with a well-equipped workshop in what might otherwise be a guesthouse space, right next to the goats. It was quite literally at somebody’s digs, albeit somebody’s National Register of Historic Places digs. The house is named after Zane Grey, a famous American adventure novelist who was one of the first millionaire authors and whose work, heavily adapted by Hollywood, included the inspiration for The Lone Ranger. Dude also went to Penn, so…respek. 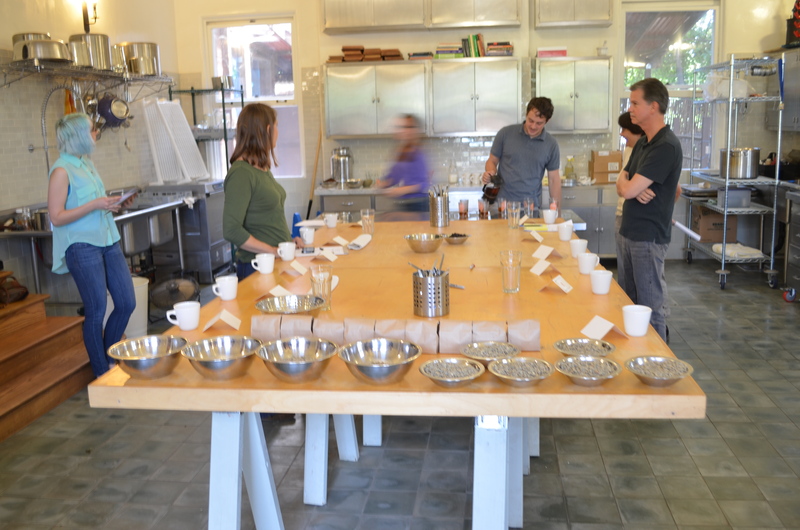 The instructor, Ian, worked for a local roaster and co-owned his own coffee company, and was a very knowledgeable guy. He and another guy at the workshop run a small coffee company called Plow and Gun based in Altadena. 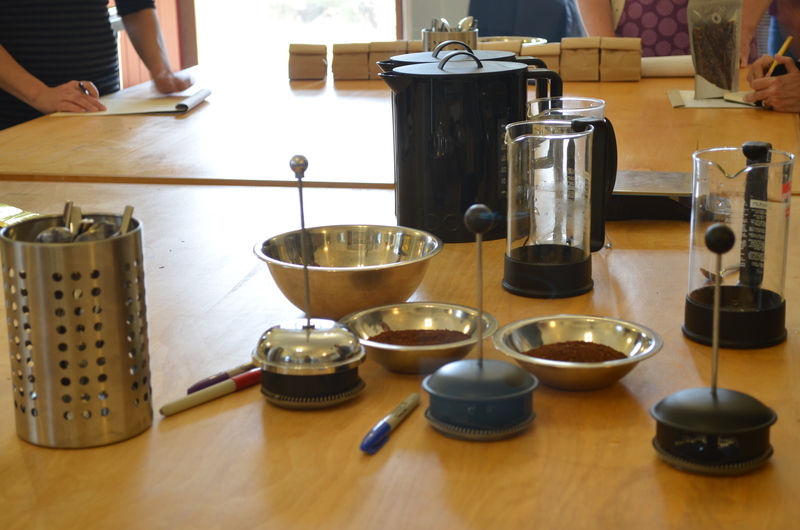 We kicked off with a coffee tasting – a multi-step process during which you take in coffee aroma, first of the unbrewed grounds, then at first brew (without breaking the crust of grounds) and again after breaking the grounds, and finally drinking the coffee. 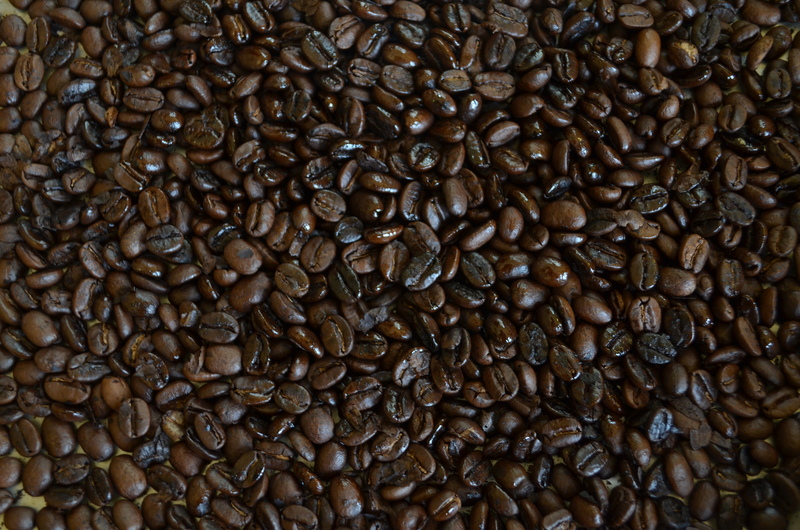 There were three separate beans from Central and South American (one washed and two naturals), and three different roasts of one single-origin bean. I’m still learning the jargon – or more appropriately I’m still learning to discern different, often subtle aromas and flavors, and then secondarily to articulate them. It still feels a bit stilted to wax poetic about chocolate and fruits and florals and earthy and smoky, but I guess it’s no more affected or snobby than wine. 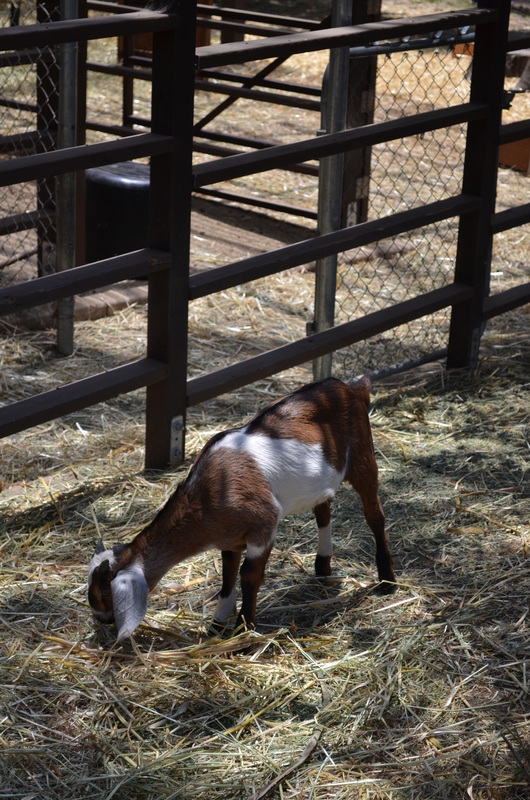 The goats couldn’t care less. 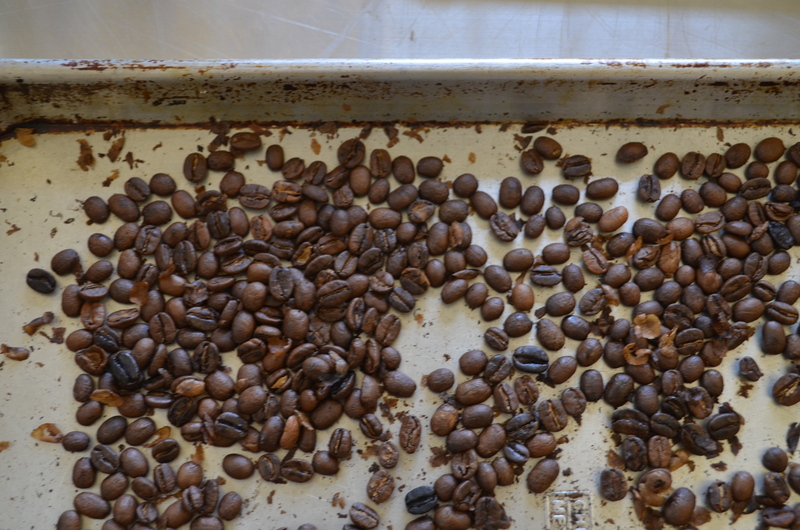 Anyway, I did get a good sense of the aromatic differences between washed (dry) and natural (wet) processed beans, as well as the aromas can diverge quickly when hot water is added, as well as how the aroma doesn’t always translate to taste. I also got a better understanding of the effect of roast time on flavors, and how much more I generally liked lighter roasts, how they allow for the flavor profiles of quality beans to come through (more so than darker roasts), and how the popularity of single-origin coffees has also driven an industry trend in lighter roasts. That said, I’m not against a bit of smokiness from something closer to a French roast. Next, we tried our hands at roasting with a Whirly-Pop stove-top popcorn machine, hand-cranked but surprisingly easy to handle. It was harder to pick up the finer points of temperature control and to figure out how really to judge the time, but I was able to get a sense for what first-crack looked, sounded, smelled, and felt like, and also, through another student’s attempt, what second crack was about. Ian made us some French-pressed coffee afterwards, explaining approximate brew time, water-to-grounds ratio, and the fineness of grind. 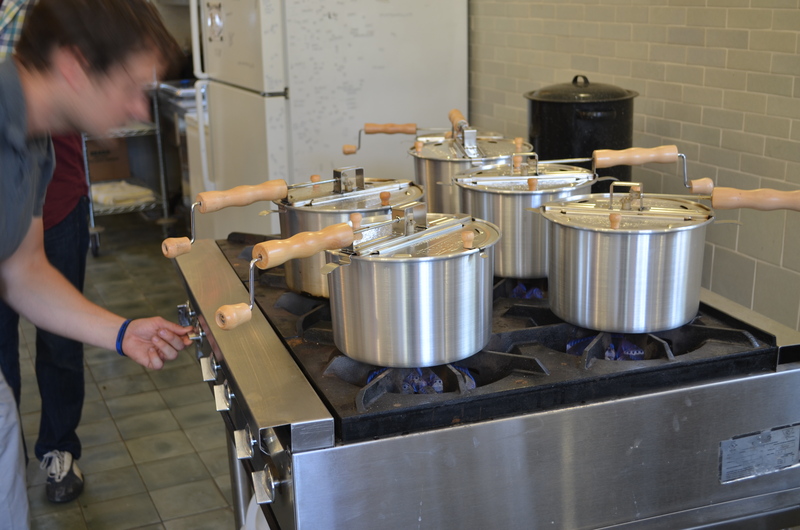 The Institute also teaches a few classes on food preparation (canning, preserving, etc.) 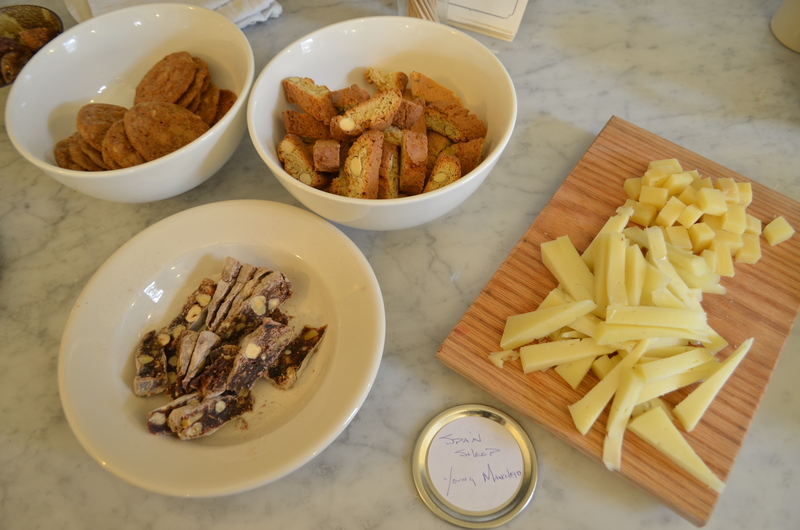 and milk culture (cheeses, namely) with things harvested onsite, so there was a small spread of snacks, cheeses, and snacks to go along with a cup of Guatemalan brew with a touch of fresh goat’s milk.